School of Mechanical Engineering, Dalian University of Technology, Dalian, 116023, China. 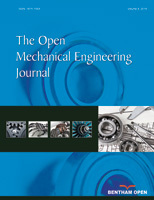 Mechanical models of a chain drive system are proposed and applied to the theoretical analysis of chain drive system of a certain type of heavy duty apron feeder in mobile crushing station, including a five-bar model discussing the speed fluctuation problems of the chain drive system, an elastic collision model probing the effects of impulsive loads and a model of meshing area revealing the stress of chain links. Theoretical analysis indicates that the teeth number and sprocket pitch have the most influential effect on the vibration in the conveying direction; external impulsive loads are caused a significant increment of chain force, especially when loads caused by large materials; the initial pressure angle affects the roller chain stress conditions immensely. Then, multi-body dynamics models are established for the verification of theoretical results and dynamic simulation. Simulation results are in good agreement with the theoretical results and illustrate that impulsive loads affect chain tension significantly.